Our Services — Welcome Bunk1 Families! When you login, only the options available to you will be listed. If you do not see a service listed below, your camp does not offer this. 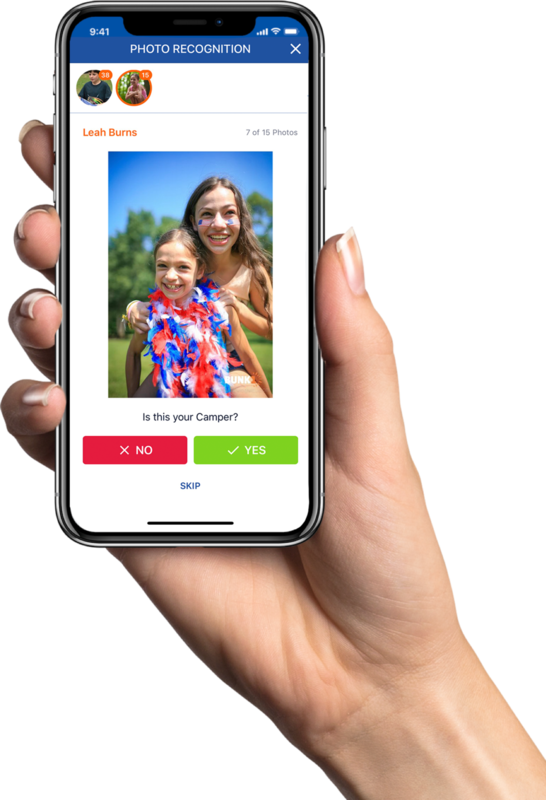 Bunk1 offers each camp a secure photo gallery. Only family members of current campers are granted access to view and purchase photos. Your camp may hire photographers to take photos throughout the summer. Please be aware that it is not always possible for the photographers to capture every camper in action. Some campers tend to shy away from the camera, while others will enjoy having their photo taken. You have the option to purchase high resolution digital downloads, prints, or photo products such as coffee mugs, t-shirts, coasters, and more. You have the ability to enhance your Bunk Note. Add borders, photos, sudoku puzzles, baseball scores or twitter feeds to create fun notes. Stay up-to-date with all things happening at camp! Camp utilizes our Activity Feed, push notifications, SMS text messages and newsletters in different ways. While some camps have the resources to provide you with a daily update, others may only be able to create a new post on a weekly basis. Bunk Replies allow you to receive a handwritten response directly into your Bunk1 account. 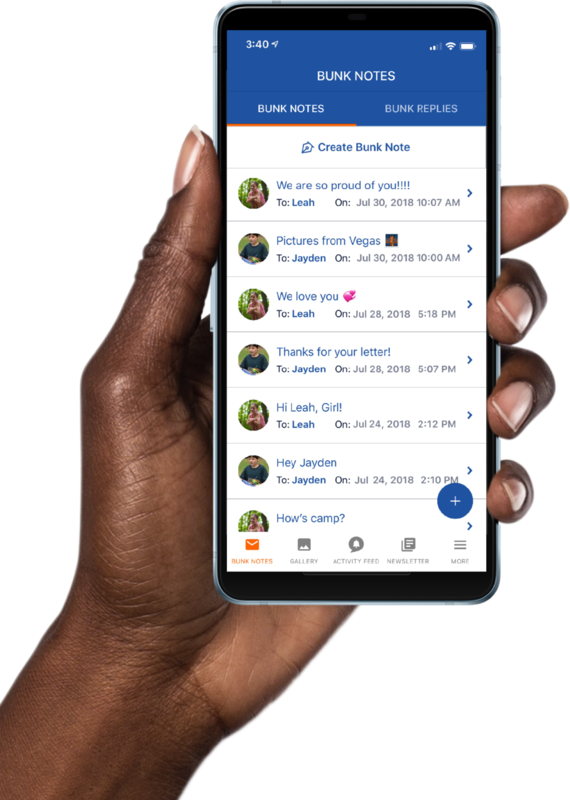 If your camp utilizes this service you will have the option to purchase stationery prior to camp or add reply stationery when you send a Bunk Note. The stationery will be uniquely bar-coded and linked to your Bunk1 account. If you purchase in advance, you can print off as many copies as you like and pack it with your camper. Just make sure your camper knows to write on the bar-coded stationery and hand it in so that you receive it. If you add when you send a Bunk Note, a single piece of bar-coded stationery will be distributed to your child with your Bunk Note. Once your camper writes and hands it in, camp staff will fax the response back to Bunk1. Our system reads the bar-code and sends it to your Bunk1 account.